all the Wisdom that our Soul already knows. Have you ever wondered why your ability to manifest your positive thoughts and intentions does not seem to be as successful as you think they should be? Have you ever wondered if there was a way to immediately Increase your Energy and Bliss in Your Life without drugs? So what is the secret inside this DVD that will allow you to accomplish all these amazing results? The simple answer is that you will learn how to use 'Specific Body Energies' to enhance your positive thoughts and intentions. So what this DVD does is teach you how to enhance the energies of your mind by stimulating specific acupuncture points in your body. Don't worry we do 'Not' use needles to stimulate these points; instead we use our fingers. This procedure is based on Gary Craig's groundbreaking Emotional Freedom Technique (EFT), which basically combines Acupuncture with Psychology. EFT has shown remarkable healing results with psychological problems, even with traumas or pain that have resisted years of therapy or energy work. In fact Dr Landrith was even invited to Fort Carson Military Base to teach the Psychologists there about how to use these techniques to help heal our soldiers from the psychological wounds of war. In addition these same types of Techniques were demonstrated on the "ABC Television's The View" and cable Television's "The Learning Channel". If tapping on acupuncture points produces such amazing results on negative problems, just imagine what might happen if you use those same body energies for positive purposes? So in this DVD we will learn how to combine tapping on acupuncture points with our fingers, while we are thinking and speaking positive thoughts. Dr. Landrith's approach is 'unique' from most other EFT/Tapping Classes being offered because it is oriented around Using Tapping For Positive Purposes. Scientists for hundreds of years have found that positive thoughts/affirmations can greatly improve the quality of our life. However we all know that often times our positive thoughts are not as productive as we would want. So if there were a way to enhance the energy of our thoughts, then it would seem logical that our Positive intentions would be manifested more easily. So by combining tapping on acupuncture points with positive thoughts, we are stimulating the energy in our body as a way to add more power to our thoughts. This simple procedure then is the secret to enhancing the power of our thoughts so that we start to live the Life of our Dreams. With this DVD we combine acupuncture with positive affirmations, as well as with prayers and songs to deliver truly Amazing results -- this ground-breaking technology will literally start to transform your life! Acupuncture has been used for thousands of years as a healing modality, as well as a way to block pain doing surgeries. What is remarkable here is that those who used acupuncture treatments did not need anesthesia when they were operated on. So obviously something was blocking the pain in those patients. Scientists now believe that acupuncture increases the 'feel good' neurotransmitters called endorphins, and that was the reason the pain was blocked. Most people have heard of endorphins, and know that if we acquire high levels of them, we feel elated and usually have more energy--like what long distance runners experience after running for extended periods of time. In addition recent research published in The International Journal Of Neuroscience, found that stimulation of acupuncture points also increases TWO other 'feel good' brain neurotransmitters called serotonin and dopamine. So this increase in these three feel-good chemicals in our brain, is the basis for the blissful feeling we get after tapping on the Positive Affirmation and Song Sections in this DVD. The hardest problem most people have with tapping is what to say while one is tapping and knowing what points to tap on. The DVD is designed to get around both of these problems, because all you have to do is follow along with the audience. The sections on positive affirmations and songs are more energy producing and the sections on Prayers and Prayerful songs are more relaxing. Often times some people find one section tends to work better on them than the other sections. So by having a diverse selection in this DVD, we can accommodate whatever situation works best for you. Experiment with the sections and you might be surprised as to which of the sections works best for you. We will actually be teaching you three different tapping techniques in the DVD. The first is a more traditional form of tapping is where you tap on the points with normal pressure. This technique usually energizes one and increases the feel good chemicals in the brain. The next two techniques are what I call 'Quantum Tapping' and they are unique to what I teach in my Seminars. The 'Light touch Quantum Tapping' is where one taps very very lightly and we have found that this is extremely useful as an aid for those with sleep problems. And the third 'Quantum Tapping' procedure is where you rest on specific points without tapping at all, which we use when we pray or attempt to manifest our intentions. The DVD will demonstrate these different ways of tapping so it will be very clear to you how to use each of these tapping techniques. Tap Into Bliss will leave you with a feeling of well-being or bliss, along with bursts of energy and a tingling throughout the body. Experience feeling relaxed with an inner-sense of peace. This section is especially helpful in enhancing our ability to perform in life. Tapping on Positive affirmations is especially helpful if we do it before work or before anything that requires us to be at our best. It helps prevent the stress of the day from getting us down and also gets us in the zone so we feel we are on 'top of the World' or 'High on Life'. Prayer is still a mystery scientifically because more than 150 well-designed research studies have been done on prayer and scientists still cannot really explain why praying works. So how can praying for people thousands of miles away or even two miles away create such a beneficial effect? How can four thousand transcendental mediators in Washington DC actually reduce the crime rate while they were there? So why not use the body energies as a way to enhance our ability to pray? Dr Landrith reports that he gets emails all the time from those who tried tapping before prayer and they have found the answers to their prayers seem to flow better! Everyone knows the beneficial effect of music. In Dr Landrith's workshops, many people find that tapping to uplifting music produces oftentimes produces an even more powerful affect than positive affirmations. To enhance your DVD experience, we choose some incredible recording artists who were familiar with tapping and had them create songs that were suited to our theme of positive thinking and getting High on Life. Her musical performances include opening for Harry Belafonte, Della Reece, Dr. Maya Angelou, Mark Victor Hansen, Gary Zukav, Marianne Williamson and Arun Gandhi. TV appearances include KCTV 5 Bright and Early Show and CNN's Anderson Cooper 360. Add the best of Joni Mitchell, Jewel and Tori Amos to get a taste of Lisa Firestone's music. Awarded "Spiritual Writer of the Year", and "Best Solo Pianist", Lisa has played for Neale Donald Walsch and Doreen Virtue. Her music creates a peaceful ambience centered on higher power. A Reiki Master, firewalker and metaphysical minister he combines New Age spacemusic with his talks and meditations. He performs with synthesizers, and crystal bowls. 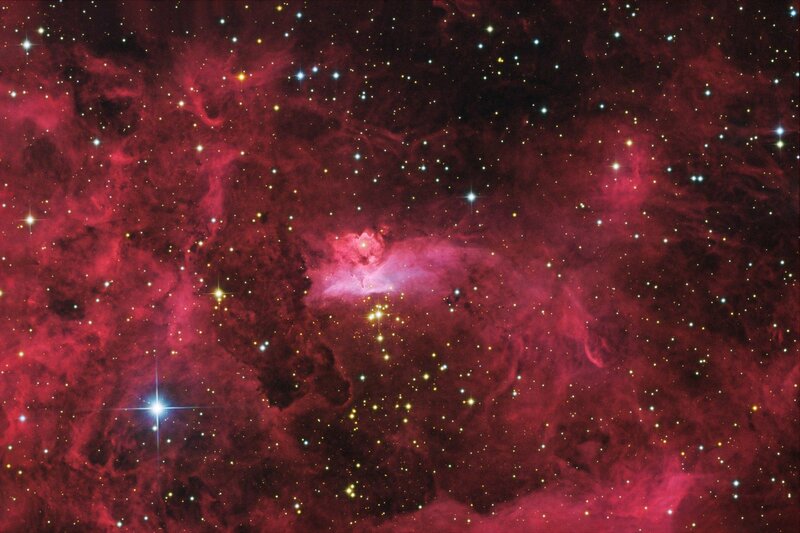 He has published music for planetariums and soundtracks. Written for this DVD is his featured song "I've Got Stardust in my Soul" - with lyrics by Dr. Landrith. Experience this DVD for yourself and see how your life changes for the better! 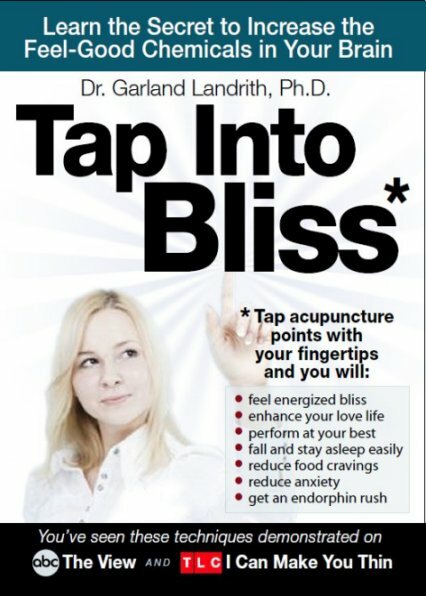 Check out the "Tap Into Bliss" DVD Promo.